CUPE Saskatchewan congratulates Mark Hancock, who was elected national president of the Canadian Union of Public Employees on Wednesday, November 4 at CUPE’s 27th biennial national convention in Vancouver. 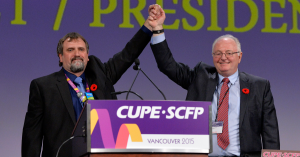 Brother Hancock has been the President of CUPE BC since 2013. CUPE Saskatchewan also thanks Hancock’s challenger CUPE Ontario president Fred Hahn for his dedication. Outgoing president Paul Moist served as president for 12 years before announcing his retirement in early October. 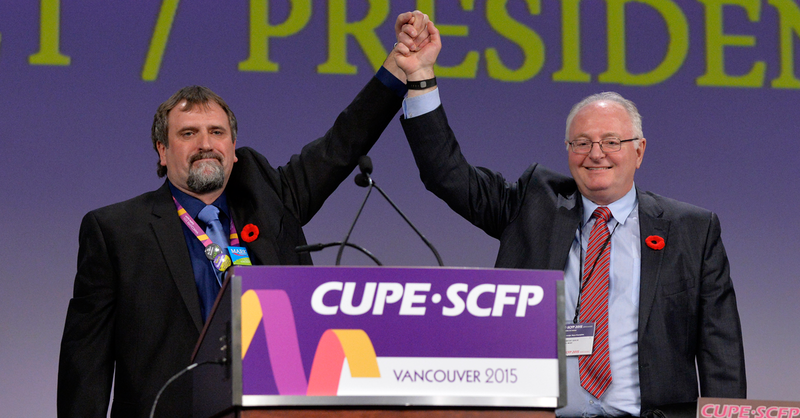 CUPE Saskatchewan celebrates Brother Moist’s many achievements and years of service as national president.